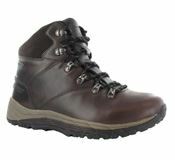 GO Outdoors offers a wide range of lightweight and performance Hi-Tec Winter boots, walking boots, walking shoes and sandals. 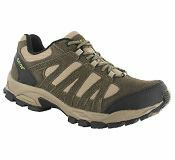 Founded in 1974 Hi-Tec is a proud British Outdoor and Sports brand. We are driven by the desire to ensure people make the most of life. From discovering the great outdoors to running through urban jungles, emerging victorious on court or teeing off at dawn. Our products will always be developed with the needs of our consumers in mind and innovations will be driven by our restless desire to understand how they’re used. We are Hi-Tec. We are Inspired by Life! Whether you are planning a gentle walk in your local park, a cycle ride, or a more adventurous hike in the Lake District, Hi-Tec offers a wide range of lightweight and performance Hi-Tec Winter boots, walking boots, walking shoes and sandals. Whatever the weather or terrain, Hi-Tec’s walking collection, ranging from insulated Winter boots to waterproof walking boots to trekking sandals, will ensure you reach your destination in comfort and style. So all you have to concentrate on is the beautiful scenery!